Smoothie Bowls seem to be the new craze lately! Understandably so as these bowls offer a healthy breakfast option full of energy for those who have a bit of extra time in the morning. Add a twist to your usual morning smooth ie by making a bit extra to fill up a bowl and adding your own choice of fruit and superfoods! Our Creative Nature Superfoods would be a perfect addition into the smoothies itself or sprinkled over the top; try adding our Guarana powder for that extra boost in the morning and why not sprinkle our cacao nibs over the top of the bowl as a conventional chocolate alternative! 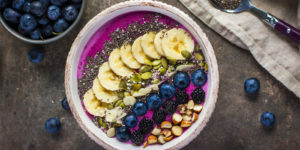 Anything goes with smoothie bowls as there is such a variety of recipes and endless ingredient options to make them from. One of best things about this new breakfast craze is how creative you can get with it. Making the bowls look pretty enough to post on Instagram is half the fun of making a smoothie bowl! Be sure to make your own smoothie bowls using products from Creative Nature and tag us on Instagram (@creativenaturesuperfoods) and we could feature you on our page! Breakfast is the most important meal of the day as it fuels you up for the day ahead. 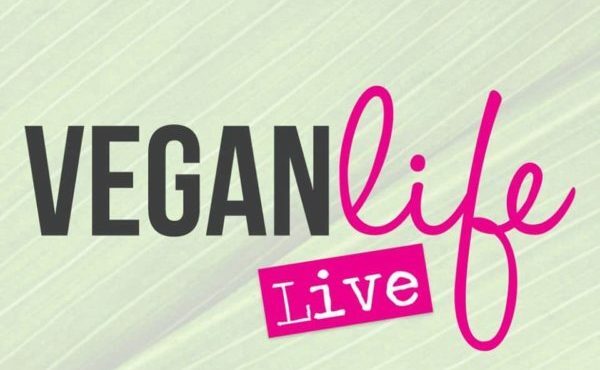 However, we understand that sometimes you don’t have enough time in the morning to make a pretty smoothie bowl or even pour yourself a bowl of cereal in the morning and you need something to grab on the go! There are many snack bars and breakfast bars out there that can fill you up with a good source of energy to last you the morning. Our own Creative Nature Goji Goodness snack bar, is not only full in flavour, but is also rich in Vitamin C, full of energy and antioxidants, providing you with the perfect on-the-go breakfast snack! 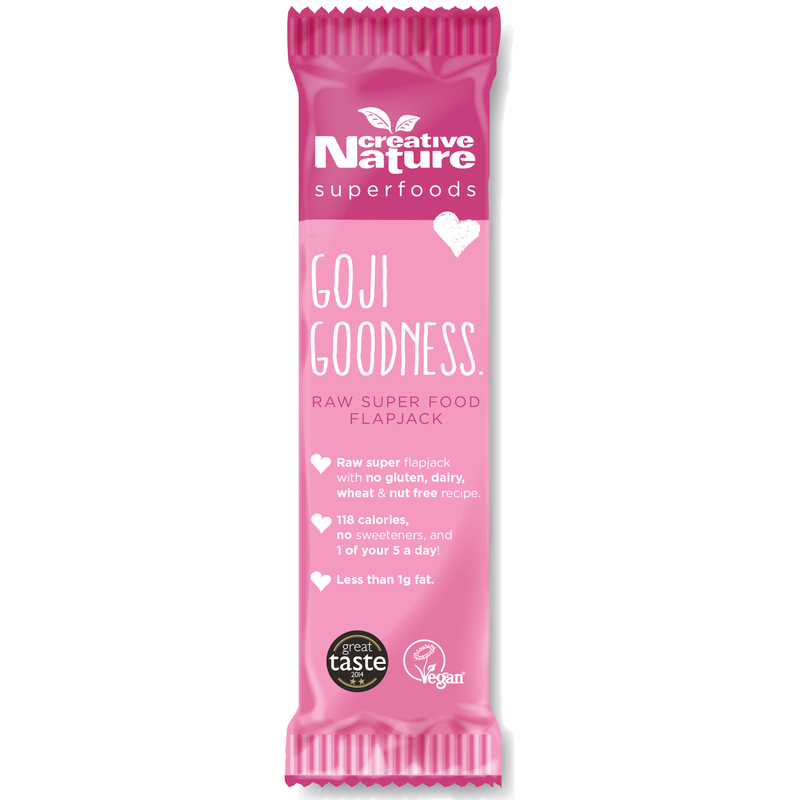 Although we encourage everyone to have a proper nutritious breakfast meal; we know this isn’t always possible and hope snacks such as our Goji Goodness bar can act as an effective substitute that can tide you over until lunch! ou need to do is combine oats with our Creative Nature chia seeds, fruit of your choice and milk/yogurt of your choice and then ensure the container is sealed before placing it in the fridge overnight. 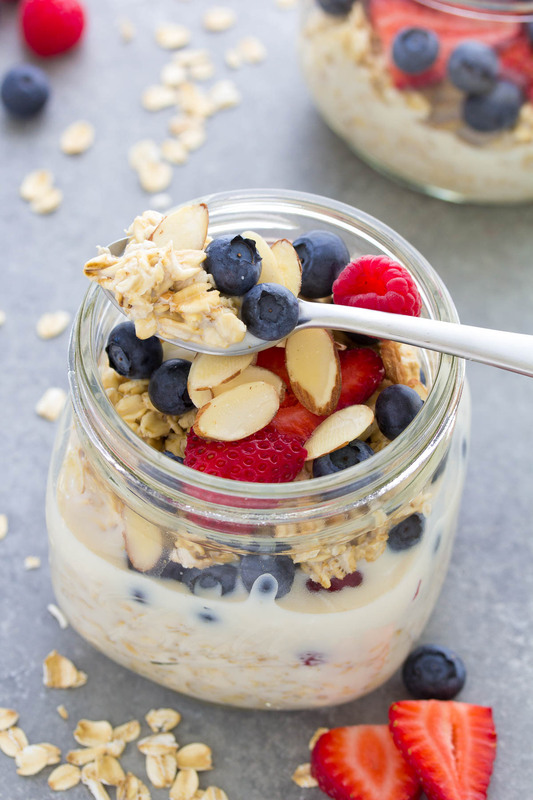 In the morning, you’ll have a delicious overnight oats breakfast ready and waiting for you! Cold morning? You can always pop the oats in the microwave for 1-2 minutes to warm yourself up whilst giving you that necessary energy to start your day!